This became a kind of project when I realised that a bunch of pictures I had taken in the country one day all had my dogs nose in them... even though he was off leash. He follows me around contantly. He thinks he's my shadow, or that it's his job to be at my side at all times. 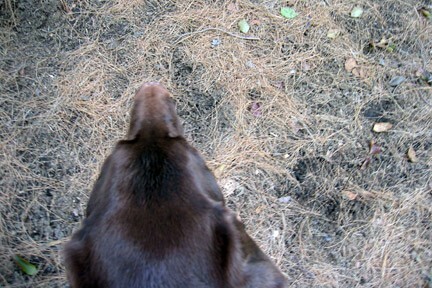 Taking these pictures became to me symbolic of his insistent presence, his loyalty, and somehow his mortality.